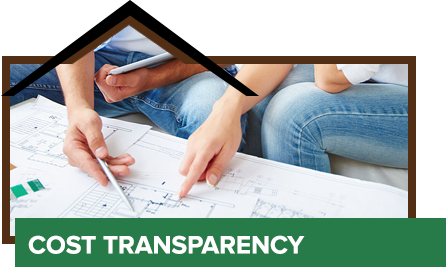 Cost Transparency: With our process there is never any mystery to knowing what things cost. From the studs to the paint, you will know (and pay) at-cost for every item. You will have the opportunity to be involved in the bidding process and participate fully to make sure you’re getting the best value during your build. 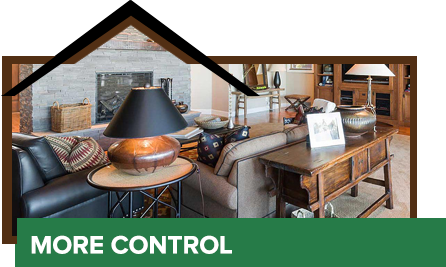 More Control: Our customer are encouraged to become engaged in the construction process. We welcome clients to participate at the level they are most comfortable with: from lot clearing to planting the final landscaping, from hanging sheet rock or painting, to just picking up supplies… anything you can (and want) to do contributes and helps SAVES MONEY! Our program is a smart was to BUILD EQUITY in your new home. 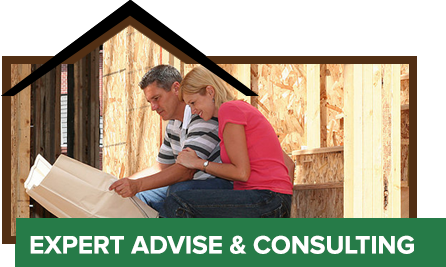 Expert Advice and Consulting: Throughout the construction process you can rest assured that our expert home builders will work with you every step of the way to ensure the best quality and a solidly built home. We offer three affordable construction packages to meet any budget. From a turn-key build to the do-it-yourselfer, Owner Managed Homes has a construction plan right for you! Want to learn more about our packages and how we can help with the construction of your new home?